Affected by gun violence in her life, West Chester Borough Council Vice President Cassandra Jones took to Washington D.C. last week to speak to legislators on the current high profile topic of gun legislation. 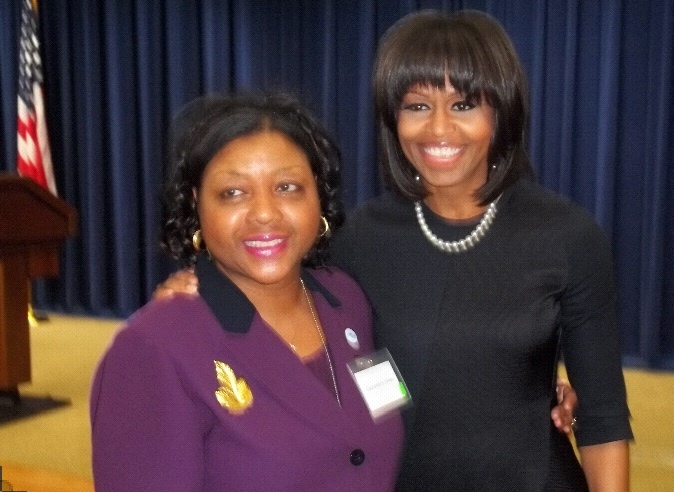 Courtesy photo West Chester Borough Council Vice President Cassandra Jones meets with First Lady Michelle Obama. Jones was one of 120 people, all victims of gun violence, who were invited to the White House Tuesday as part of an effort organized by the group Mayors Against Illegal Guns. 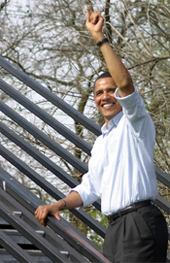 Attendees included victims of the Aurora Colo. shooting, the Newtown Conn. Shooting and Arizona shooting. When Jones was six years old, her mother was shot. While she survived, Jones said the shooting handicapped her mother and came with complications that contributed to her early death at 43. Until recently Jones said she was unable to remember or deal with the memory of her mother being shot. But through the tool of writing, Jones has opened up that chapter of her past. Jones said she has been in the process of writing an autobiography for a number of years now and recently added to it which included her story of the shooting. Jones said she is writing the book as a tribute to her mother. “I’m really very passionate about this issue because I’m the survivor,” Jones said. In January, Borough Council responded to the recent shooting in Newtown, Conn. by passing a resolution that calls for new gun legislation.